R-1 single-family zoning has long been the gold standard for residential areas in Colorado Springs, old and new. It is credited with creating strong neighborhoods, close to downtown as well as in more distant housing developments. The ideal of one family living on one lot is believed to create, maintain and preserve great neighborhoods in which to live and raise children. If you live in R-1 single-family zoning, and like it, you may not have it for long. The city Planning Commission unanimously approved and sent to the City Council a new law that turns every R-1 single-family zone into a de facto two-family zone. It is called the accessory dwelling unit, or ADU, law. It will permit every homeowner living in an R-1 zone to build or install a second separate dwelling unit on their property. This dwelling unit can then be rented to strangers, thus potentially doubling the number of people living in what was a one-family area. 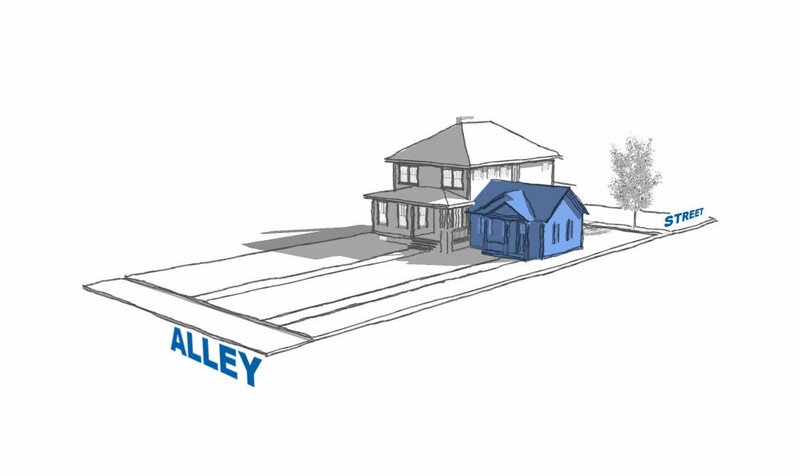 Accessory dwelling units come in two forms: detached units and integrated units. On R-1 single-family lots with adequate space, detached ADUs can be built as separate residences in the back or side yard. According to drawings distributed by city planning, these detached houses can be two stories high and have room for a two-car garage. They look perfectly adequate to house a family of four. Integrated ADUs are for homes with inadequate yard space for a second residence. In this instance, homeowners are allowed to add a second story to the home or knock out a side or back wall and thereby create a separate dwelling unit that can be rented to others. The proposed law requires that one of the two units created by adding an ADU to your property be owner-occupied. However, the law also says an ADU can be subdivided and sold as a separate residence to a new owner. Moving large numbers of new people into the neighborhood means more automobiles. 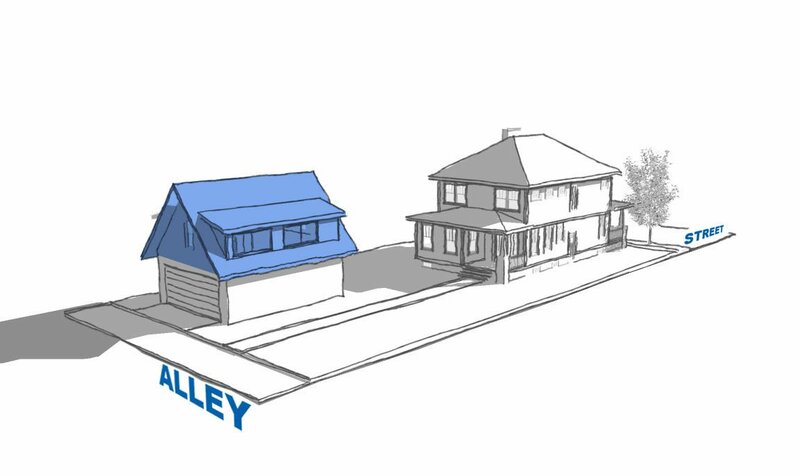 The ADU proposal calls for one off-street parking space to be provided by the homeowner for each new ADU. City planning notes that these parking spaces can be provided in the front yards of houses in R-1 zones and specifies how much of the front lawn can be paved for such parking spaces. If the accessory dwelling unit law is enacted by the City Council, there will be little neighborhood change at first. But in 10 to 20 years, when many people in the neighborhood have constructed ADUs, the number of housing units in the neighborhood would almost double, the numbers of people living in the neighborhood would almost double, and the number of automobiles in the neighborhood would almost double. At full build-out, there will be double density of people and cars. City planning has arguments for encouraging every R-1 homeowner to add an ADU. It could be a place for parents to age in place. It could provide housing for dependent and disabled adult children. It could provide additional housing in economically challenged neighborhoods and wealthy neighborhoods. It could house unemployed “boomerang children” who return home after college and graduate school. And it could give a “wealth building opportunity” to R-1 single-family homeowners who would like the extra income from an in-house or backyard rental. We support encouraging more affordable housing in Colorado Springs, yet we question some aspects of the proposed citywide ADU program. People who paid extra to buy and live in R-1 single-family zones may not be pleased to have an adjoining property suddenly have two residences rather than one. Others may feel the character of their neighborhood is being degraded as it slowly fills up with more and more backyard homes and paved front-yard parking spaces. Good zoning like R-1 is thought to give permanence and value to a neighborhood and should not be casually done away with in a drive to enforce higher-density living. We also dislike the “one size fits all” approach of making every R-1 neighborhood in the city accept ADUs, detached and integrated. Individual neighborhoods should be given a chance to vote to decide if they want ADU-generated increases in population and automobile densities. If you like your R-1 zoned neighborhood the way it is and want it to stay that way, let the City Council know . On the other hand, if you want more affordable housing for all income groups — and do not mind making the trade-offs of higher population density and more automobiles — let the council know those views. Retired Colorado College political scientists Tom Cronin and Bob Loevy live in R-1 single-family zones. Loevy served on the city Planning Commission from 1972 to 1975.